America’s Got Talent and MySpace got together and gave audiences something else including a boisterous Bollywood act, jolting jump ropers and a excruciating Elvis impersonator. Tonight, AGT welcomes Susan Boyle! in some real talent? Now that would really be something to talk about. gas that will house the aliens when they arrive. A man presses his nose up against the glass and…not this time, but you know a creepy face is going to popup in there at some point. Maybe tonight? Day Three begins at 9:00 on BBC America. the premiere of Ruby and the Rockits. I hope you did to, and I hope you enjoyed it. Check out my visit to the set here! Now let’s see what’s on tonight! race. Ellen DeGeneres is a guest judge tonight with Katie Holmes performing tomorrow! If you missed last night’s MySpace auditions, you can watch a repeat at 8:00, then there are more auditions at 9:00. Highlight of the entire America’s Got Talent season could come with the performance of Britain’s Got Talent star Susan Boyle. Watch Susan Boyle on America’s Got Talent at 9:00 on NBC. Here’s a Susan Boyle clip from tonight! They say every TV show has an episode about a race track and one about boxing. They did the race track in the first season. Eliot enters the ring in order to take down a crooked fight promoter. That means Christian Kane without a shirt, all hot and sweaty. Yeah, it’s a good night to watch Leverage. One of my favorite guilty pleasures has returned! It’s time for more big hair on little kids, flippers, fake eyelashes and the moms, oh the moms! Sing out, Louise! 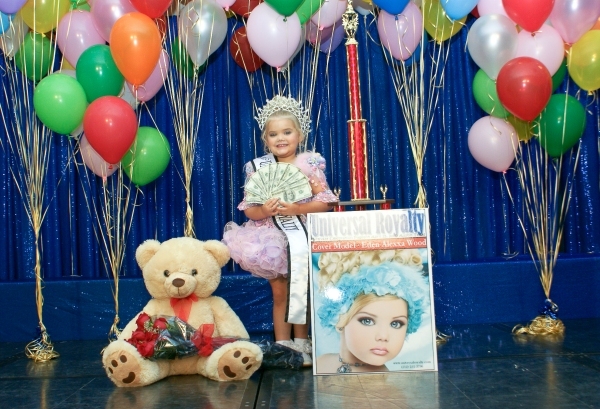 Watch Toddlers & Tiaras at 10:00 on TNT. Soprano’s star Jaime-Lynn Sigler is joining the cast of Ugly Betty. In an even bigger move, TV Guide Network has purchased the rerun rights to the series. Kendra is getting a second season on E!